EDIT: Contest is over now! Thanks for reading! And the winner is… –> Click me! 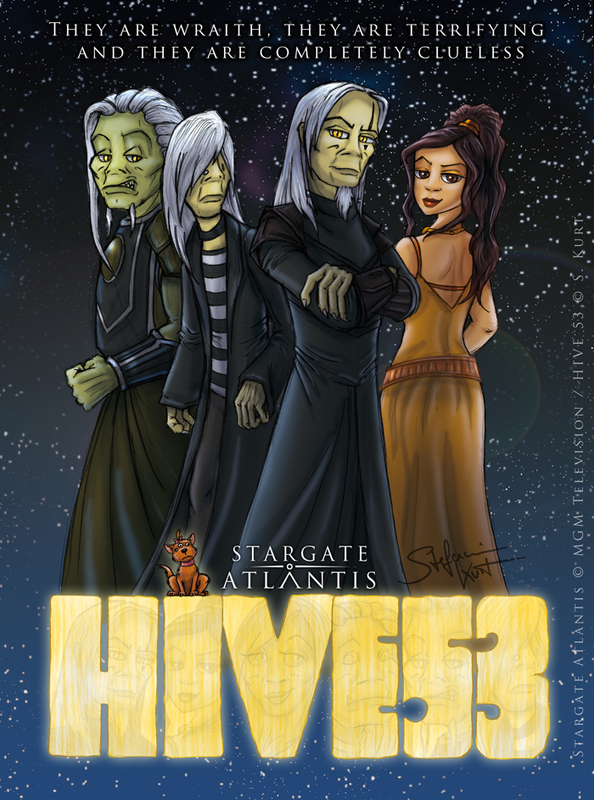 On this day, it’s ten years since Hive 53 was born. If you’re interested in how the guys were born you may want to check out this blog post. In case you are wondering, the next page is on the way and still needs some shading and lettering but it’ll be online soon! There are still stories about the green whackos yet untold and it’s still bringing me fun to draw them so here’s hope the loony hive will cruise the galaxy for a bit longer. To celebrate this remarkable mile stone of ten years (you’d think there might’ve been better things to do in ten years than drawing silly comics I don’t earn a cent with, duh?) I was thinking of some kind of contest. 1) What does everyday life look like on board Hive 53? 2) Space battle! What happens if our heroes meet hostile Wraith? 3) You find yourself by some kind of freaky inter-dimensional accident on board the ship, what do you do? 4) Come on, you’ll surely find much more and better ideas! Just one contest entry per person! 2) If you have a deviantART account, upload it there and contact me there. 3) Or contact me on Facebook. I’d like to see your contest entries by October, 22nd 2018. The winners will be drawn randomly from all entries. They will be contacted by me under the e-mail they provided, or on deviantART or Facebook, whatever applies. I’d be happy to announce the winners here, on dA and on Facebook, but if you want to remain anonymous and/or do not like your artwork to be shown publicly, please state so in your contest submission message. 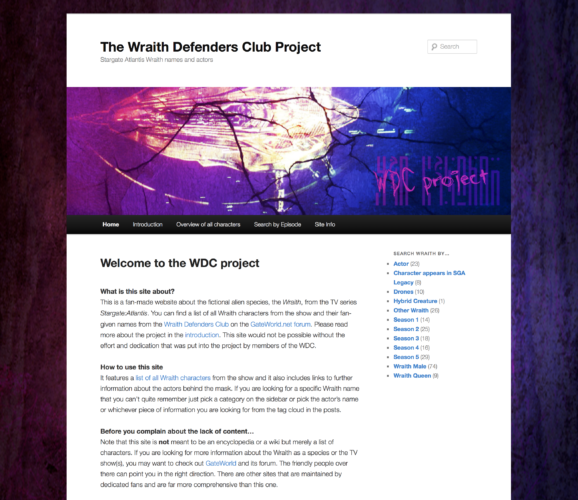 A free illustration of your choice, sole condition: It needs to be Wraith-related. 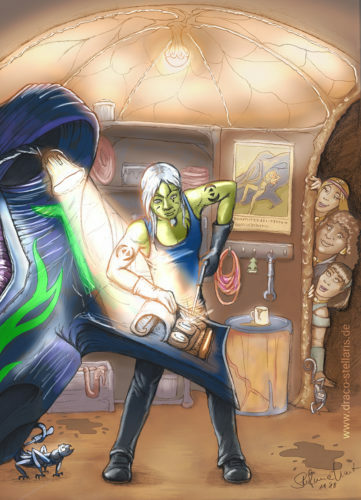 Of course, it can be a scene from Hive 53, or it could be something else. Format: A4, up to two characters full body, simple background, style: cartoony. A free illustration, conditions see above. Format: A5, one character bust, simple background, style: cartoony. Can be either digital or traditional water-colour. 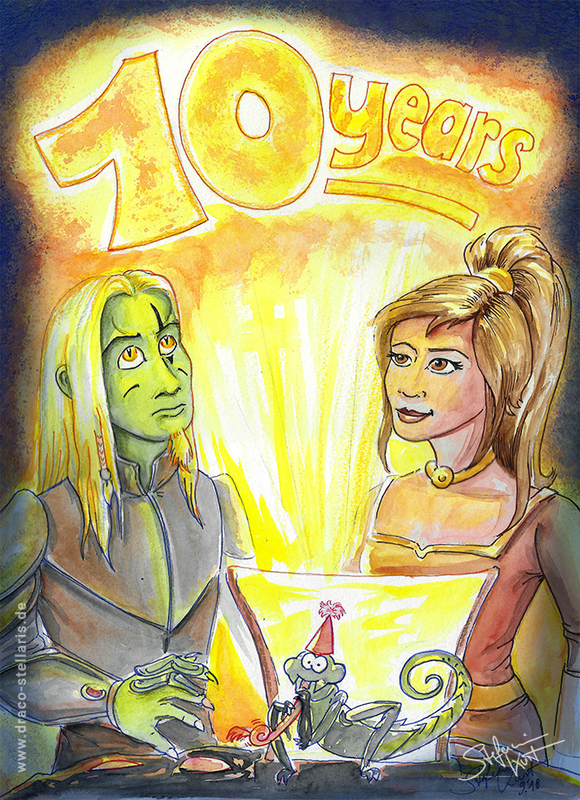 The original 10th anniversary water-colour image (see above), shipped to you by post. I am just a human being and every now and then susceptible to health issues, therefore I cannot grant an exclusive date for the reception of the prizes.